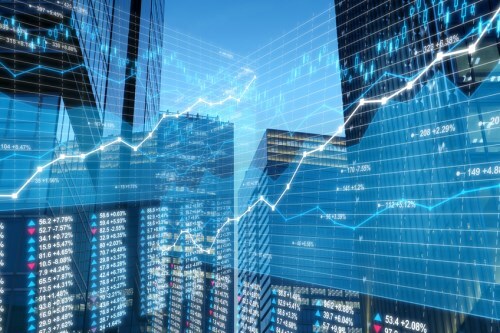 A recent release from Horizons ETFs Management Inc. announced the launch of two new ETFs: the Horizons S&P 500® CAD Hedged Index ETF (TSX: HSH) and the Horizons US 7-10 Year Treasury Bond CAD Hedged ETF (TSX:HTH). The first product, HSH, aims to replicate, to the degree possible and net of expenses, the performance of the S&P 500 CAD Hedged Index (Total Return). The index is a measure of the performance of large-cap players in the US equity market, hedged to the Canadian dollar. HTH, in a similar way, aims to follow, to the extent possible and net of expenses, the performance of the Solactive US 7-10 Year Treasury Bond CAD Hedged Index (Total Return). This index is meant to track the performance of the US 7- to10-Year Treasury Bond market, hedged to the loonie. The two new products are the latest additions to Horizons’ low-cost, tax-efficient Total Return Index (TRI) ETFs. TRI ETFs replicate indices using a synthetic replication structure. This allows them to receive pre-tax total returns of an index, which would be impossible for physically replicated ETFs. TRI ETFs should not pay distributions, instead reflecting the value of dividend or interest income in the returns of each ETF. This results in better tax efficiency for investors who hold the ETF in non-registered investment accounts. Tracking error is also reduced because of the absence of portfolio trading costs.